Akkaya S., Salor Ö., “A New Flickermeter Sensitive to High-Frequency Interharmonics and Robust to Fundamental Frequency Deviations of the Power System”, IET Science, Measurement & Technology, 22 March 2019, DOI: 10.1049/iet-smt.2018.5338. Akkaya S., Salor Ö., “A New Flicker Detection Method for New Generation Lamps Both Robust to Fundamental Frequency Deviation and Based on the Whole Voltage Frequency Spectrum”, MDPI-Electronics, 7(6), 99, 15 June 2018, doi:10.3390/electronics7060099. 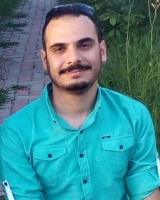 Akkaya S., Salor Ö., “Enhanced Spectral Decomposition Method for Light Flicker Evaluation of Incandescent Lamps Caused by Electric Arc Furnaces”, Journal of the Faculty of Engineering and Architecture of Gazi University, accepted on 23rd May 2018, doi: 10.17341/gazimmfd.460497. Akkaya S. and Taşpınar N., "Generalized Type- II Hybrid SR ARQ Scheme Using Punctured Convolutional Coding and Code Combining Technique in Wavelet Packet Division Multiplexing (WPDM)”, Proceding of 2. World Conference on Information Technology (WCIT), Antalya, Procedia Computer Science, ID:8775, sequence number: 423,(2011). Taşpınar N. and Akkaya S., "Generalized Type- II Hybrid SR-ARQ Scheme Using Punctured Convolutional Coding and Code Combining Technique in Multi- Carrier Code Division Multiple Access ( MC-CDMA) Systems”, Proceding of Elektro 2012 Conference, Slovakia, pp 378-381 (2012). Akkaya S. and Taşpınar N., “Dikgen Frekans Bölmeli Çoğullama (OFDM) Sistemlerinde Konvolüsyon Kodlarını Kullanan II. Türden Kod Birleştirmeli Karma SR ARQ Protokolü”, 6th International Advanced Technologies Symposium (IATS’11), Elazığ, pp: 376-381. (2011). Araştırmacı, TEZ PROJESİ, YÜKSEK LİSANS, FBY-10-3384, Kablosuz Haberleşmede Kullanılan Karma ARQ Sistemleri.